In Malawi, land distribution has a mixed land legal system of customary tenures (66% of the country’s land), freehold and leasehold tenures. 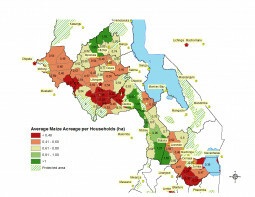 The Malawi Government has set a goal to ensure equitable access to land and tenure security, efficient management, administration system and an ecologically balanced use of land and land-based resources. Within this context, the Ministry of Lands, Housing and Urban Development has expressed a need to acquire detailed information on the land-use of estates and, in particular, the degree of agricultural land-use (i.e. fully farmed, partially farmed or not farmed). Detailed information and a better understanding of estates in terms of quantities, acreages, agricultural use and evolution over time are of great additional value for national land management and budget optimisation with regard to food production and economic development. 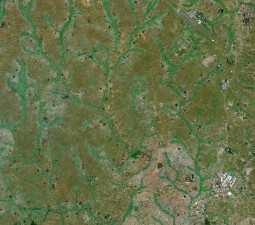 The Ministry asked Airbus Defence and Space and GE Data, a private consulting company specialised in geospatial technologies, to determine what information can exactly be produced using GIS techniques and satellite imagery data in order to examine technical feasibility, costs and organisational aspects. 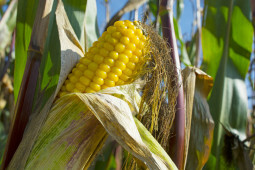 More particularly, GE Data was asked to estimate the crop production before harvest with a 10% accuracy. The project was financed by the Agriculture Sector Wide Approach Support Project of the World Bank Group. The objective of this project is to improve the effectiveness of investments aimed at food security and sustainable agricultural growth, and strengthen the natural resource base in agricultural lands, through doubling the area under sustainable land management as a basis for securing ecosystem services and sustainable agricultural productivity. SPOT 6/7 images were acquired from two acquisitions and as a result a classification based on biophysical parameters processing was performed resulting in 10 identified land-use classes. Thanks to the support of up-to-date and accurate spatio-maps derived from SPOT imagery, the field surveyors were able to carry out the survey of 960 fields in only three weeks. 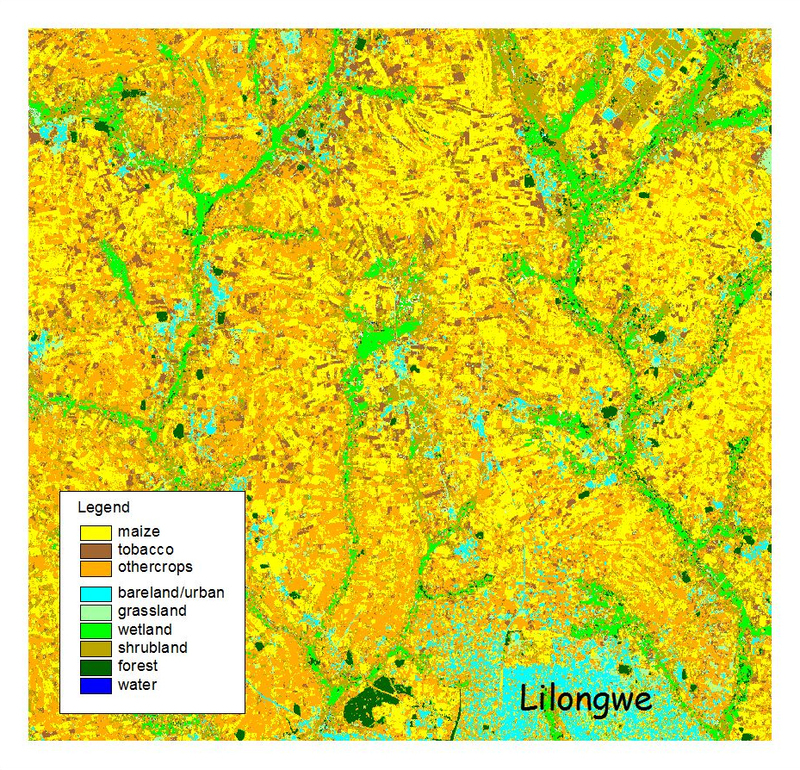 Land-use mapping based on satellite imagery was produced with a satisfactory level of accuracy, and thanks to SPOT 6/7 satellite imagery, acquired at two key stages of the crop life cycle and combined with a sampling strategy, GE Data provided an accurate estimate of the crop distribution with a 5% precision and yield over the territory, before the harvest. 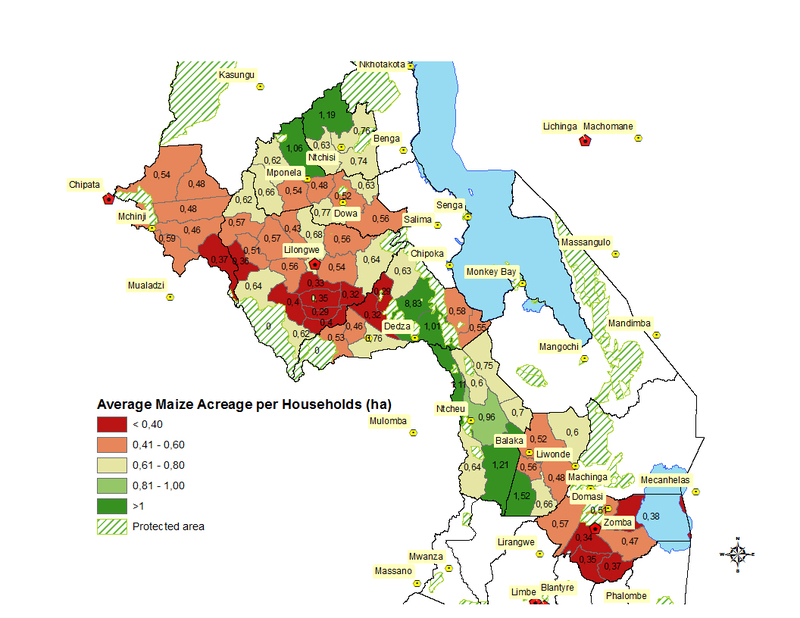 Then, estimations for maize production were successfully compiled by combining land-use maps, calibrated yield indexes and extensive field surveys carried out by trained staff from the Ministry of Agriculture (crop-cutting yield measurements). 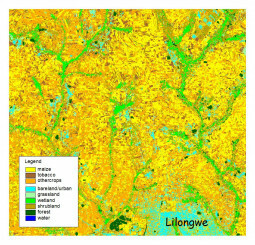 The technical feasibility of producing land-use maps and estimations of both acreage and production was proved. In addition, the rural road prioritisation method derived from this project was evaluated as very useful by all stakeholders, particularly by the European Commission and the World Bank Group. The objective was to use the results to then optimise the warehouses’ distribution according to harvest forecast. 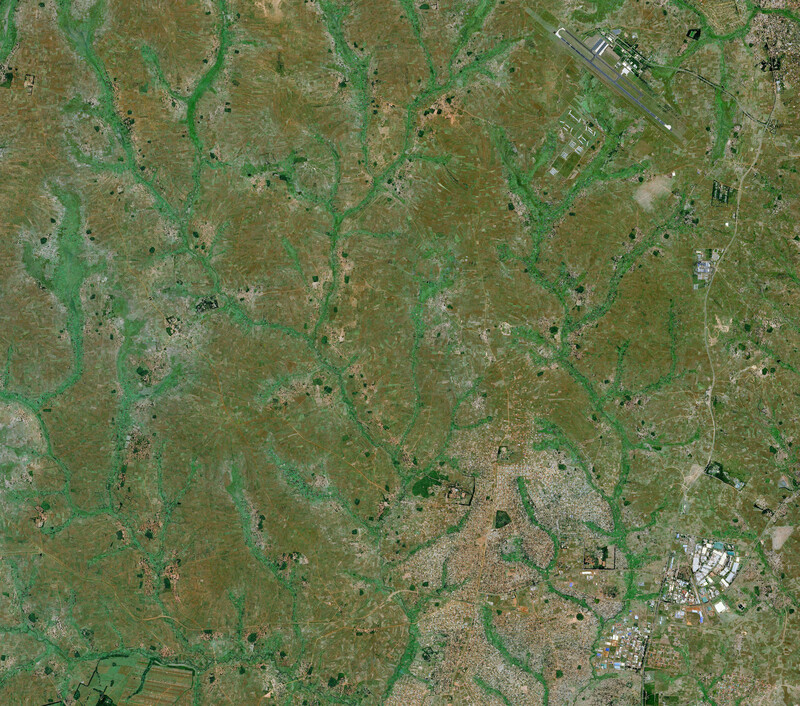 The use of satellite imagery enabled considerable reduction of costs compared to ground survey methodology. Convinced of the accuracy and the value of the information provided, the Government of Malawi has decided to extend the system to the entire country for the third year of the project commencing in 2015.